Have you heard of sous vide? Why do we want to cook this way? And why carrots? These are all excellent questions, dear reader. How does sous vide work, exactly? Well, an immersion circulator immersed in water creates an environment with a consistent temperature, which ensures consistent cooking results. It’s the equivalent to a slow, gentle poach that helps food retain its moisture, too. WHAT’S SPECIAL ABOUT SOUS VIDE CARROTS? The carrots in today’s recipe not only become nicely tender when cooked sous vide, but also become intensely flavorful—it’s as though cooking sous vide concentrates the flavors, turning them into the most premier specimens of carrot. They become sweeter and snappier, while also tasting earthy and distinctly carroty—and in a way that you can’t achieve from roasting or steaming. The low, slow method of cooking sous vide is well suited to many vegetables and carrots are no exception. Steamed carrots sometimes get mushy or just feel too waterlogged, and they lose their snap really quickly if you don’t keep an eye on them. Oven-roasted carrots can also easily become overcooked and mushy as their tough fibers soften. In sous vide cooking, because the carrots are enclosed in a tightly sealed plastic bag and then gently cooked in precisely-controlled hot water, they are protected from both water absorption and moisture loss, and aren’t at nearly as much risk of overcooking. 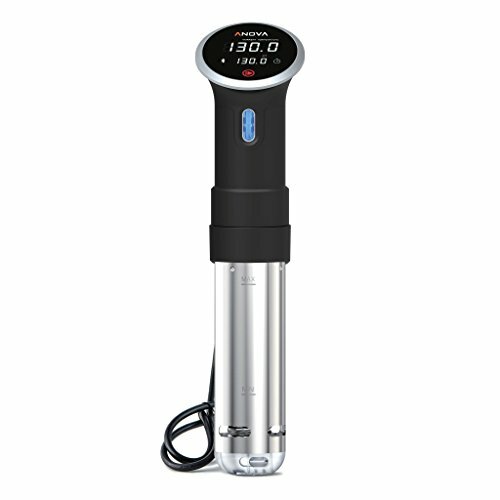 HOW LONG TO COOK CARROTS SOUS VIDE? In comparison to a lot of other sous vide recipes, carrots cook fairly quickly. A big cut of meat, like a bottom round roast, can take up to 24 hours to become tender, but carrots are ready within 15 to 20 minutes, which makes them an easy dinner side dish. Exact timing will depend on the size and thickness of your carrots (for example, skinny, slender spring carrots verses thicker, knobbier supermarket carrots). I’d recommend checking your carrots at about 15 minutes, and then re-sealing the bag and cooking for longer if needed. When you can stick a fork in the thick part of the carrots and remove it easily, they’re done. Cooking Tip! If you find that the carrots float when you add them to the sous vide bath, carefully remove the bag from the water and add several servings spoons, which will weigh down the bag and keep the carrots submerged during cooking. One of the biggest advantages to cooking sous vide is that you can make meal components, such as these carrots, ahead of time and quickly reheat them when you need them. Once cooked, let the carrots cool in their bag, then throw them in the fridge for later. You can then reheat them as needed for a quick side dish, or add them to other dishes, like quick pastas, salads, soups, or quesadillas. I cooked these carrots and ate some of them right away while I was testing them because they were irresistible. I put the rest in the fridge and then later browned them in a cast iron skillet with some sous vide baby red potatoes that I had also cooked earlier in the week. You can also slice your carrots into coins and cook them that way. Depending on diameter of carrots and thickness of the slices, expect it to take 8 to 11 minutes. 1 Heat the water: Fill a pot with water and place your immersion circulator inside. Set your immersion circulator to 194°F and let the water come up to temperature. 2 Prep the carrots: Meanwhile, wash the carrots and peel them. Cut off and reserve the green leafy tops for another use (like Carrot Top Pesto!). Slice off the tops and bottoms, if you like. Add the carrots to a zip-top gallon-size plastic freezer bag along with the tarragon, salt, black pepper, and olive oil. Toss together in the bag to distribute the ingredients. If the carrots float in the water, add a few heavy soup spoons from your cutlery drawer, which will help weigh down the bag and keep the carrots submerged. The carrots will need to be completely submerged to cook evenly. 3 Cook the carrots: Submerge the bag of carrots in the pot once the circulator has come to the proper temperature. Cook for 15 minutes for thinner carrots, and up to 25 for very thick ones. If you’re at all in doubt, pull them out after 15, open the bag carefully, and use a fork to determine how tender they are. If they’re getting stuck in the carrot, they aren’t ready; reseal the bag and return the carrots to the water. 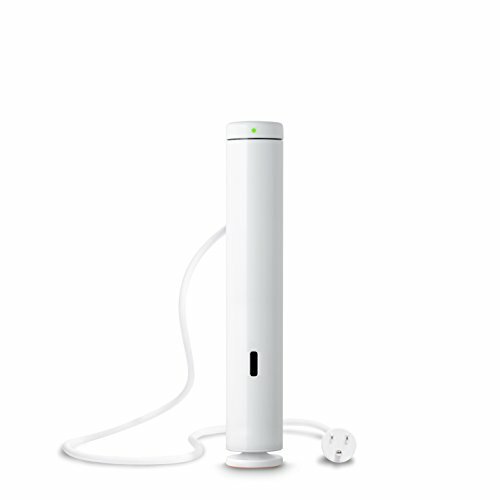 4 Serve: Remove from the water, turn off the circulator, and serve immediately. Sprinkle some additional fresh chopped tarragon on top, if desired, and sea salt. You can also drizzle the cooking oil over the plated carrots. Hello! All photos and content are copyright protected. Please do not use our photos without prior written permission. If you wish to republish this recipe, please rewrite the recipe in your own unique words and link back to How to Cook Carrots Sous Vide on Simply Recipes. Thank you! I tried these last night and it wasn’t worth the trouble. I’m not sure what kind of heavy spoons you use the weight down the bag but we ended up having to put five serving spoons and our spoon rest into the bag to get the carrots submerged in the water. I had pretty thick carrots which I cut in half length wise and then cut into approximately 1 inch chunks. We put the carrots in for 25 minutes and they seemed barely cooked. I am sorry to hear that this recipe didn’t work for you, Rachel. It did require quite a few spoons, but I found it was worth it for the flavor and snappiness of the carrots. I also wonder if the fact that you cut the carrots up was a factor in your outcome? If you see in the recipe, the carrots are whole until serving. I wonder what temperature you set the circulator, to, as well–maybe there’s a discrepancy there? I had big supermarket carrots and I had hoped that cutting them up into smaller pieces would have made them cook faster, closer to the 15 minute mark mentioned in the recipe. Instead they took the whole 25 minutes and probably could have gone even longer to be cooked more to my liking. Maybe I just prefer a more cooked carrot? I do like raw carrots but if I’m going to eat a raw carrot, I’ll just eat a raw carrot no cooking or wait time needed. I did set the temperature of immersion circulator to the 194 degrees F.
I looked up other sous vide carrot recipes and the others I found called for an hour of cooking time with a similar temperature. I’ve very much enjoyed the other recipes that I’ve made from the Simply Recipes website, so this one was a rare outlier. The carrots do tend to be more snappy than fully cooked carrots, but that’s by design. I’m not a fan of soggy carrots. Thanks for the details, Rachel. Thanks for your comment. I developed this recipe and am the Associate Editor here for Simply Recipes. We make a distinction about sea salt because most of our recipes that list salt as an ingredient refer to regular old table salt. We use the terminology sea salt when the distinction must be made. Not everyone cooks with salt labeled as “sea salt,” which tends to have a different flavor than regular table salt.